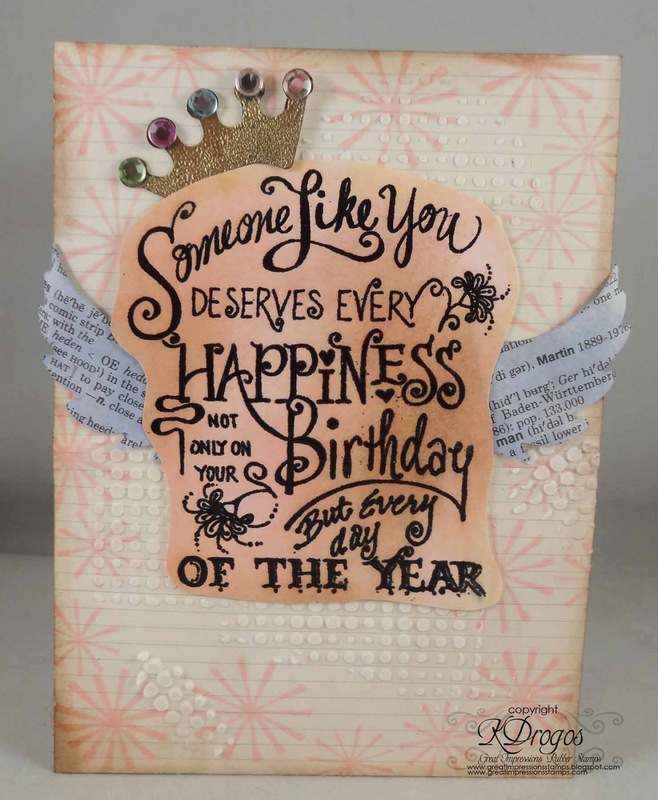 It's my turn to share a card at the Great Impressions Blog. I love how this turned out. I used H257 Someone Like You and E492 Twirly Background from the Great Impressions Online Store. For the Someone Like You I used black embossing powder and then applied walnut stain and spun sugar distress ink over it. Here is a picture of the background. The paper is from Simple Stories. I used spun sugar and the Twirly Background. There were a few spaces where only 2 twirls would fit so then I just stamped the 2 to fill in. 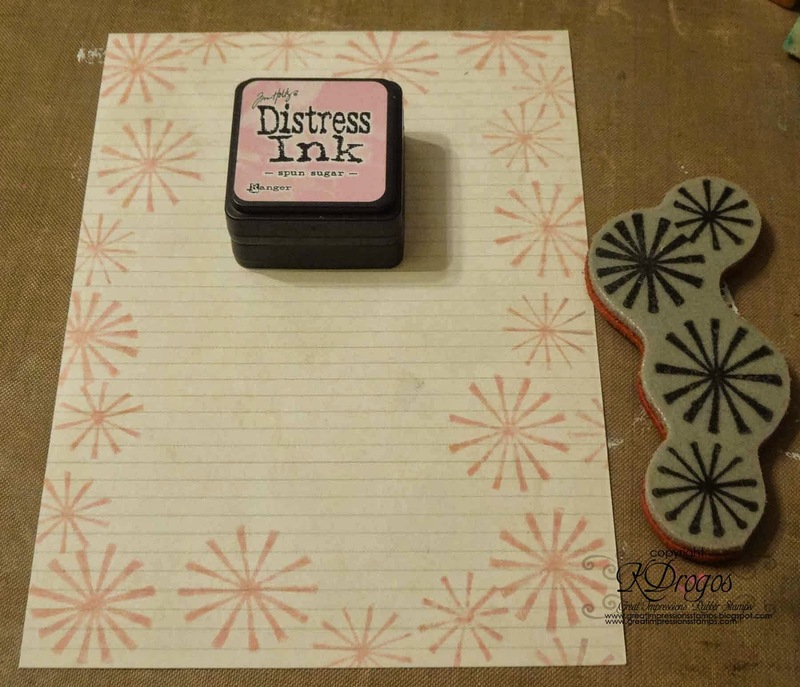 Then I used light modeling paste with Tim Holtz's dot fade stencil. The crown and wings are from the Tim Holtz die Heart Wings. For the crown I put gold embossing powder on it and rhinestones. For the wings I used dictionary paper and shaded lilac distress ink. I used glossy accents to glue down the Someone Like You and wings because there is modeling paste underneath, and I wanted to be sure it stuck. I added a little walnut stain distress ink to the edges. So beautiful! LOVING the wings!!!!!!! Very pretty card! Thanks for playing with us at The Mixed Media Monthly Challenge. lovely card! Thank you so much for playing with the Mixed Media Monthly Challenge! Great card - love the background!! Thanks for joining us in this month's Mixed Media Monthly Challenge "Stencils and Pastes" !! What a fabulous card and love that sentiment. What a gorgeous stamp/sentiment! I just love the typography. Thanks for playing along with us at Mixed Media Monthly Challenge!